Unless you are still in the same church you were raised in as a child, chances are you’ve had a bad church situation. At least that’s what I’m finding in my conversations with people these days. I swear it seems every Christian I know has, at some point in time, left a church for one reason or another. 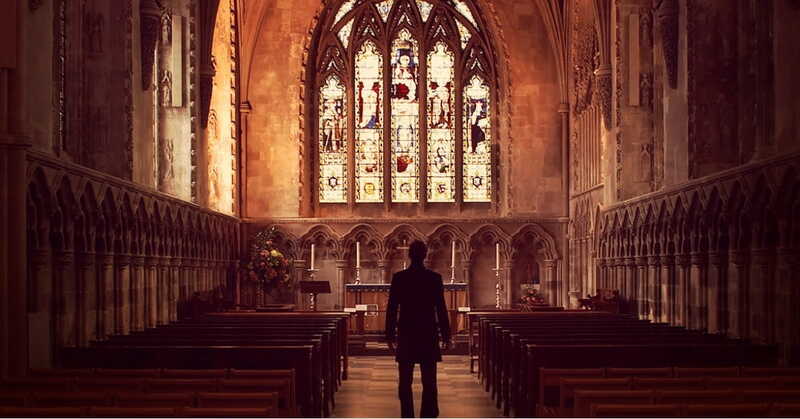 There are many obvious reasons why people leave a church. Maybe someone in leadership got caught doing something they shouldn’t have been doing. Or perhaps, after studying your Bible, you discovered that the teaching you were exposing you and your family to wasn’t scriptural. Whatever the case, leaving a church isn’t an easy thing to do. It sometimes results in losing touch with friends that you’ve served with for years. It means uprooting you and your loved ones and trying to find a new place to worship. This has been my life for the past two years now. Since leaving our church home of nine years, we’ve regularly attended five different churches from four totally different denominations. The amount of lessons I’ve learned during this time cannot possibly be contained in a simple blog post. But I do want to summarize a few key things that helped us survive this time and, ultimately, led us to finding a new and healthy church home. I don’t know what pastor originally came up with this evil word, but if you are going to survive your bad church situation, you need to treat it as if it never existed. When church leaders begin tossing this word around, it’s basically a way to guilt people to keep coming to their church. It is an unedifying and cruel thing to call someone not only because it’s selfish, but because you don’t know the details of their situation. There were many times in our transition where my wife and I felt like we were disobedient Christians because we hadn’t yet found the church for us. I can’t help but imagine that this is a point where many people give up on church altogether. Many of us have been taught that the denomination we were raised in is “the best one.” While there are a variety of very good denominations, unfortunately there are also some very bad ones. I cannot stress how helpful it was for us to attend a variety of churches. Now, I don’t mean you need to ramp up your Bible reading by finding the right bible Study Reading Plan for you… although that is a good thing to do. Anyone can read the Bible everyday if they put their mind to it, but it takes a unique person to actually seek God on how to live out what they are reading. For several years, the Bible came secondary to the teachings of my church. I read my Bible fairly regularly, but sticking to the theology of my church was a bigger priority than applying what I read in the Bible. It wasn’t until I got serious about the Bible that I was able to discover what it truly meant to be a part of a church body. In my next few posts, I plan to go more in-depth with these three points. In the meantime, if you have any survival tips please share them with me at any of the links below. I look forward to hearing your stories.